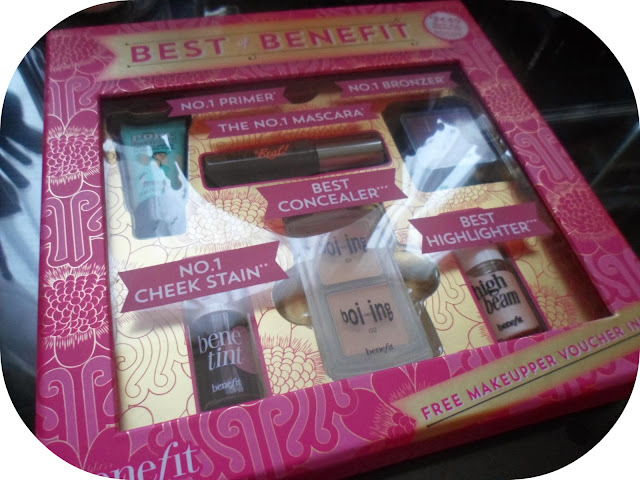 So when I saw this kit at Boots I had to grab it - some of my all-time favs and a couple of new things to try for a fraction of the normal price? Perfect. In this set they have rounded-up all their best sellers from primers to tints to mascaras and popped them all into handy handbag/tester sized beauty's for everyone to try out and enjoy! I have owned a few of these items both in full-size and in the mini versions and they last for ages. This set in my opinion is such a great gift for someone this Christmas ... or even yourself! Help someone stock up on their current collection/favourite product/s or try out some totally new stuff (or both!). For only £24.50 they could find your new holy grail product! This is something which I HAVE used before and I have to say that it is the best primer I've ever used. It is one of those things I have been meaning to buy for a long while but never seem to have got round to it! This tube will be saved for nights out and big occasions over the festive period I think - it gives such an amazing base to any make-up and not greasy at all. Another product I have previously owned/used. I got this in Elle magazine earlier this year - like most of you probably! This is a great mascara especially if you have stumpy eyelashes like myself! Majorly excited about finally owning this! A bronzer that everyone has raved bout for years and I STILL haven't bought it... until now! This is a gorgeous matte bronzer - fab for any look... I know this is going to end up in me buying the full sized boxed version. The only product I wasn't overly excited about to be honest - and that is only because I not a blush person. This is a lovely rose-tinted lip and cheek stain. After first use though, I am pleasantly surprised by the subtle pretty look it gives, lovely jubley. This concealer is amazing, great for under eye bags (which I seem to be prone to at the moment!) I'm just still deceding which shade is better for me at the moment though! Probably the first product I ever bought from Benefit, one of those products you will always love no matter what! A gorgeous highlighter, perfect for cheek and brow bones. ...shame there isn't one near me...yet! Have any of you taking advantage of this bargain offer aswell? Did you buy it as gift or for yourself like me? Oh this set is great! I'm yet to try the boing concealer but I really wana try it! I very nearly bought this for myself! It is a bargain, but with gift sets like this, I always expect to see one full sized product! I would have bought all these sample sized goodies at the half price, but I couldn't have paid full price for ALL samples. God I'm so tight, haha. I love Porefessional and I'm almost out of my tube, and have never tried They're Real! They'd have been my half price swingers! Oooh I've been resisting grabbing this for myself before Chrimbo...but I can't stand to buy it for someone else either! Feel like I'm in a lose/lose situation. Thank you so much for the heads up on this! I've been struggling to think of what to get one of my friends for Christmas but this is perfect. I'm actually really tempted to get this for myself as well haha! I am a total Benebabe, and I like a lot of these products as well! The POREfessional is amazing and so is the Hoola Bronzer and They're Real mascara! Agreed! The Porefessional is my fav primer ever! this set looks like it has everything i need! thanks for sharing!